The Pincian Hill is in the northeast quadrant of the historical center of Rome, east of the Spanish Steps and Piazza del Popolo. It is not one of the Seven Hills of Rome but lies within the Aurelian Wall. The ancient Romans built villas and gardens here. The present Muro Torto ("Twisted Wall") is part of the foundations of the villa of the 4th century Pincii family, after which the hill was named. The edge of the Pincian Hill can be easily "scaled" by either climbing the Spanish Steps (but that does not lead you directly to the attractions on the hill), or by climbing the steps to the left of the fountain of Rome Between the Tiber and the Aniene in Piazza del Popolo, which leads to the top of the Fountain of the Great Niche which is at the top of the hill. 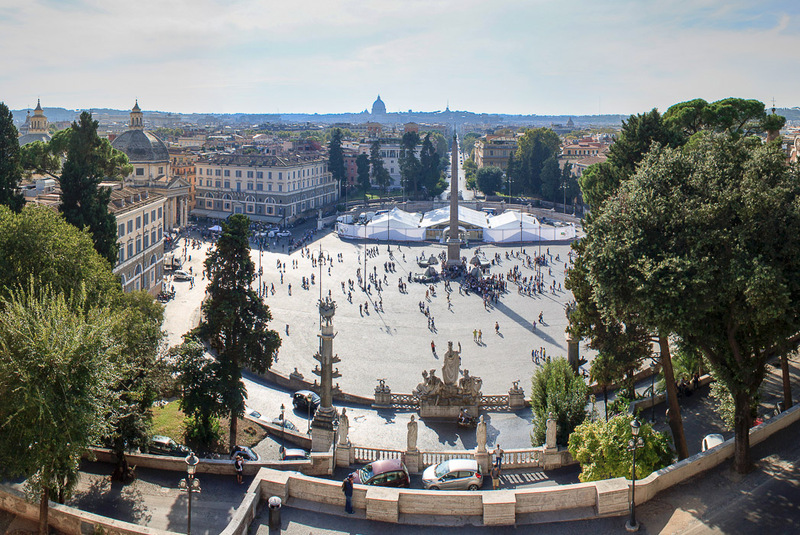 From there you get a tremendous panoramic view of Piazza del Popolo below, and of Rome beyond it, including the dome of St. Peters Basilica in the Vatican. If then you wander onto the hill a bit, you can find, on Via dell'Obelisco, the Pincian Obelisk. 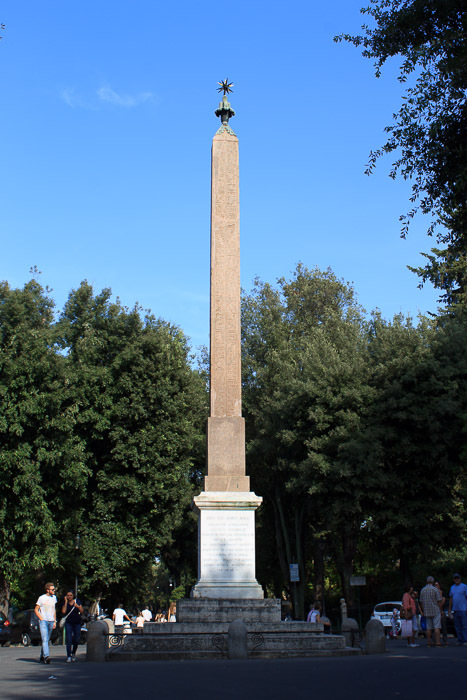 Past the obelisk is the entire Villa Borghese park. If you head north you can go to the National Museum of Modern Art, or the Etruscan Museum. If you go back to the edge of the hill and head south you can go to Villa Medici and to the top of the Spanish Steps. See all Pincian Hill photos.